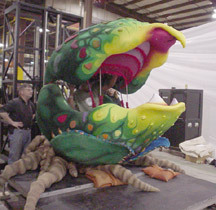 In 2004, the Little Shop of Horrors show made the transition from using a human puppeteer for the plant, to designing a fully robotic Audrey. 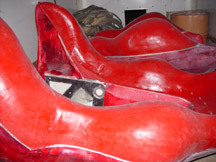 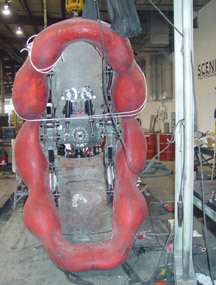 Beyond Design, in conjunction with Scenic Technologies, created the plastic components for this machine. 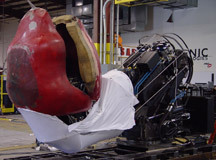 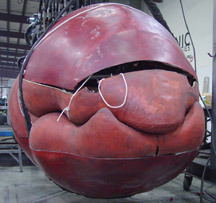 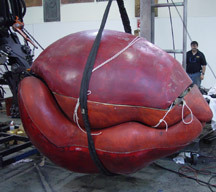 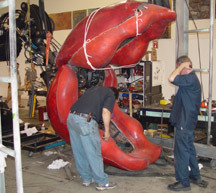 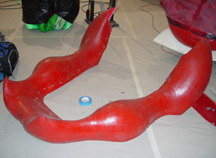 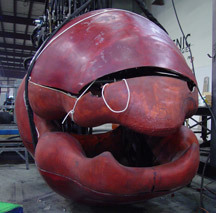 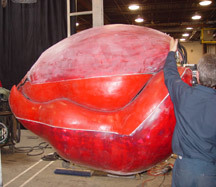 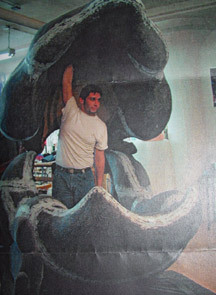 Because of life safety issues, this version of Audrey needed large flexible foam lips so that if there was a mechanical failure and the jaws snapped shut, an actor would not be crushed. 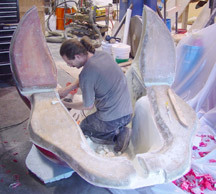 This requirement added a huge amount of complexity to an already difficult project. 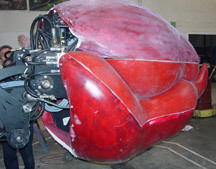 For the production process we built two complete Audrey heads, one for development and testing and a second one for the show.